Up to Half- Price Sale Store Wide. Address: B3-1-3A, Solari Dutamas Publika Shopping Galleria. Block B3, Level U1, unit 3A. Above a shop called Gymboree. For us to serve you better, please pre-book the date and time above on your attendance. 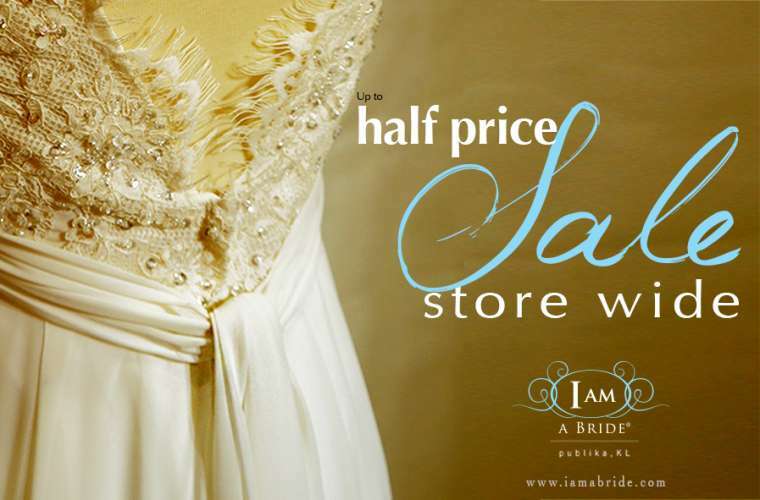 For any information and enquiries , please contact Kathy - 01117820825 or visit the website https://www.eventbrite.com/e/i-am-a-bride-wedding-gown-sale-tickets-26346699688 . Solari Dutamas Publika Shopping Galleria.